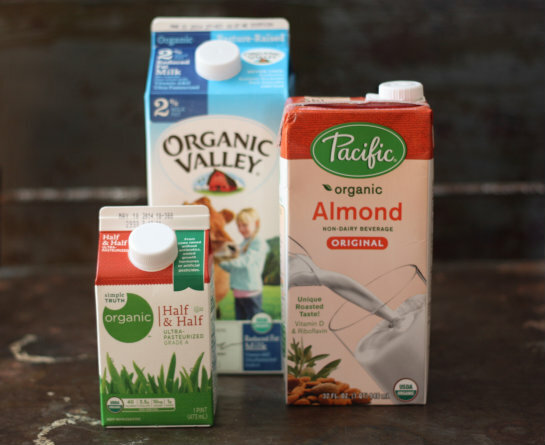 We don't typically have these plastic bottles in the house, but we do go through a lot of different cartons and tetra-paks. 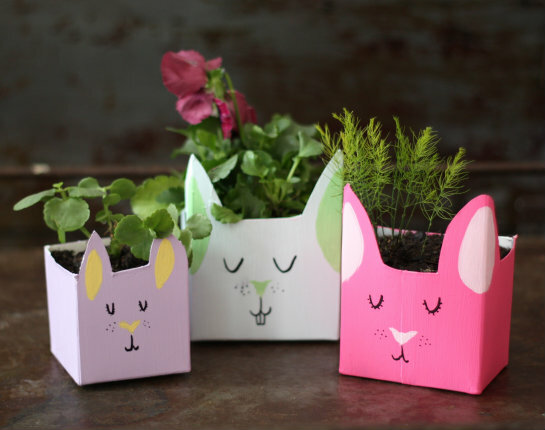 Thinking the same idea could translate, I found these adorable bear planters using the same concept. 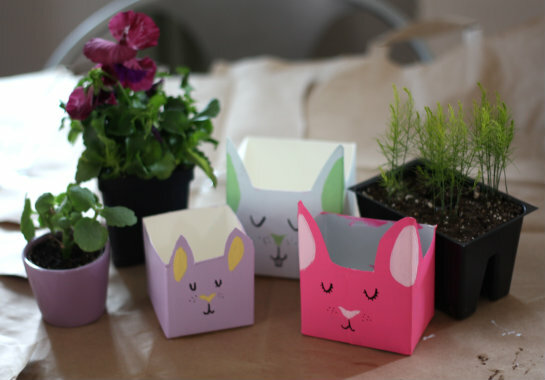 Since it's springtime and Easter's right around the corner, I thought it would be fun to make bunny planters from the cartons. Also, we had such a blast painting together back in October, I thought this project might be right up to speed. I saved all of the cartons we used up over the week instead of pitching them in the recycle bin, cleaning and drying them out thoroughly in prep for Sophia's arrival. 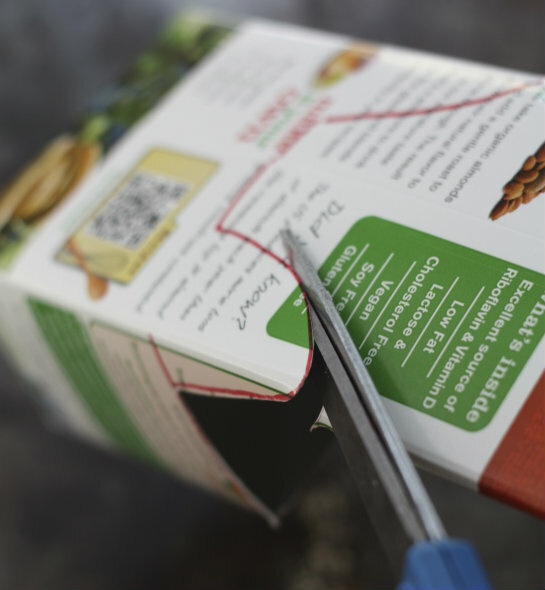 Other supplies included scissors, basic acrylic paints, foam and fine brushes and permanent marker. 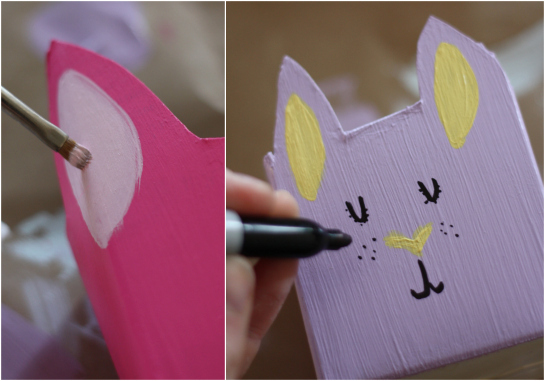 I freehand drew lines and long bunny ears where I wanted to make cuts, and even made a few of the ears extend past the corner of the cartons, giving them some dimension. 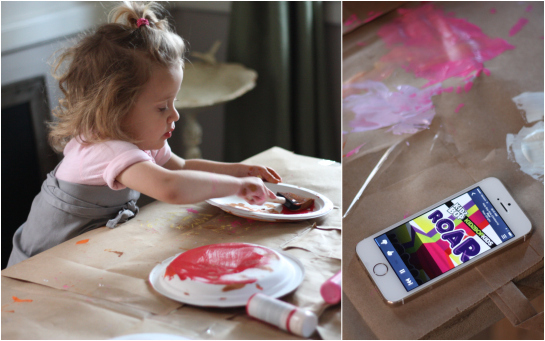 It's amazing to me just how much she's grown since October when we sat at this same spot painting pumpkins together. 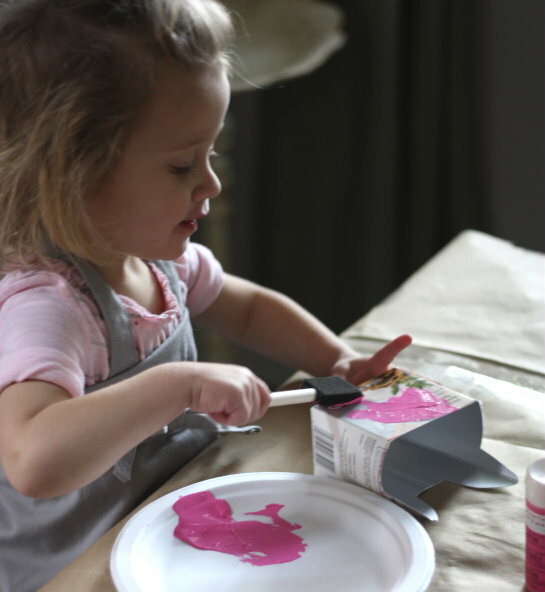 While we waited for them dry between coats, I pulled out a few paper plates for Sophia to paint on with all the different colors, keeping her busy. 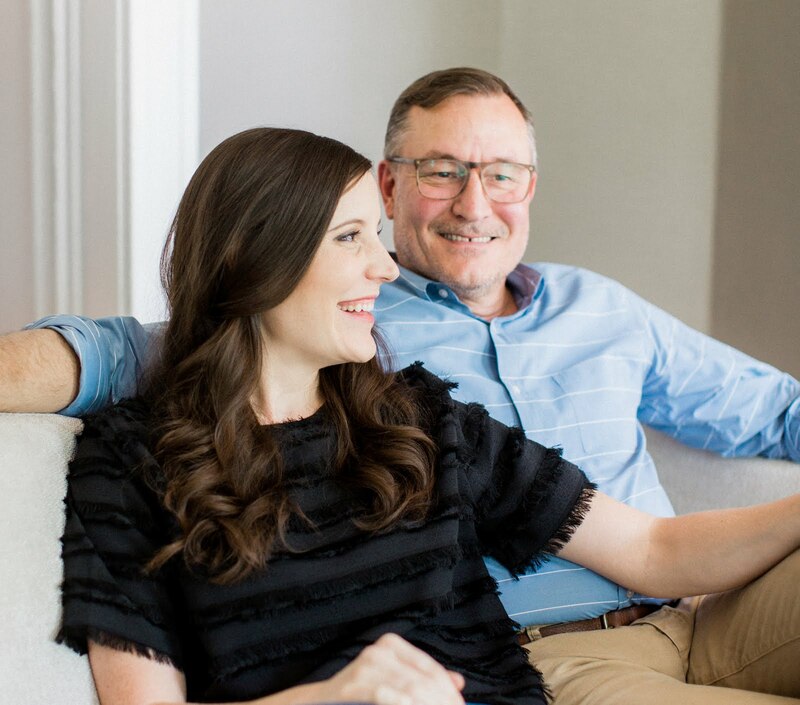 I also realized that radio apps like Pandora have stations geared especially for kids, so we had some fun tunes going on in the background of our craft session. 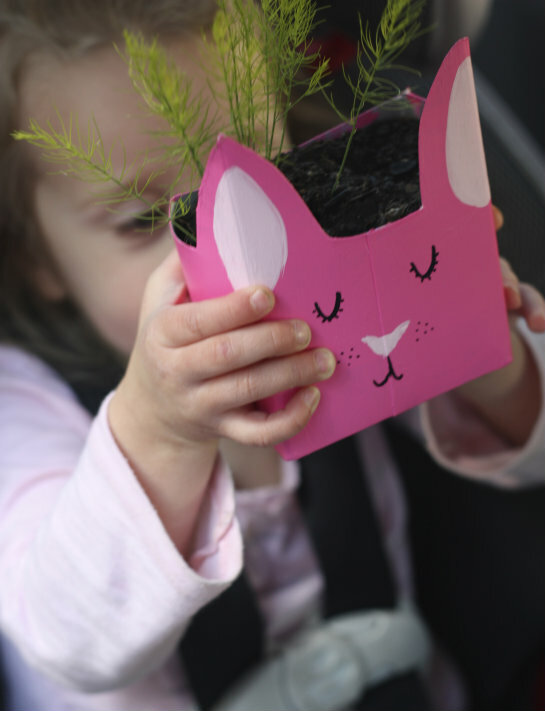 Once the final coats were applied and set aside to dry, Tim and I took Sophia with us to the hardware store so she could pick out her favorite plants for the bunny planters. 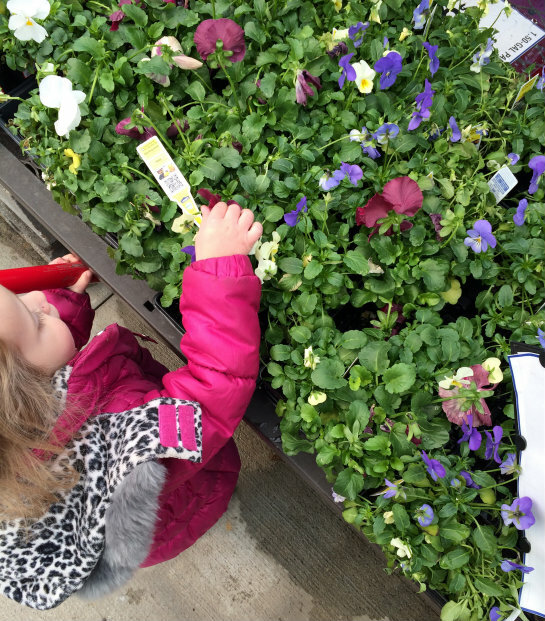 She settled on red pansies and a pink kalanchoe. Tim and I picked up a six pack of asparagus starts (since we've been wanting to try growing them) to add to the mix. When Sophia went down for her nap and the final paint coats had dried, I added some fine details to give these little guys some character. A fine-tipped brush made for easy inner ears and noses, and a few swipes with the permanent marker really brought these guys alive. After nap-time it was sadly time to pack things up and take Sophia back home. 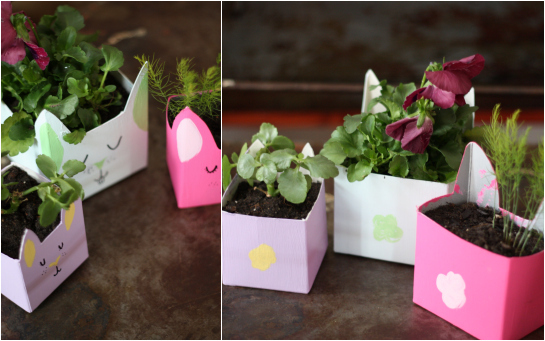 These little milk carton planters were so simple and fun to make. 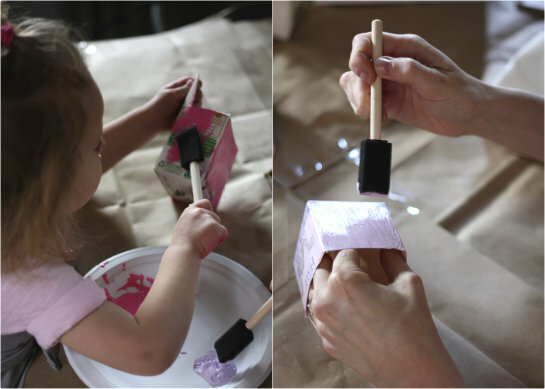 They're also so versatile — you could make all sorts of animals, faces or patterns using different milk and juice containers. 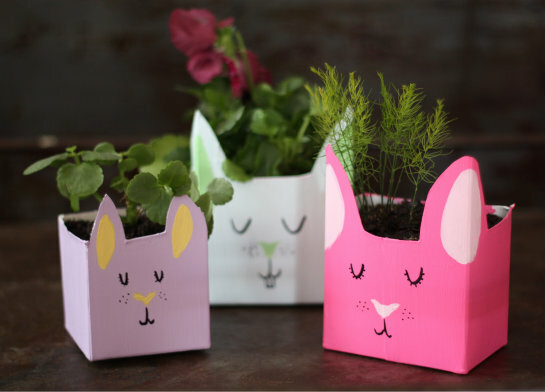 They definitely made for a cheery spring update and child-friendly project to spend time with my niece making. You made magic! 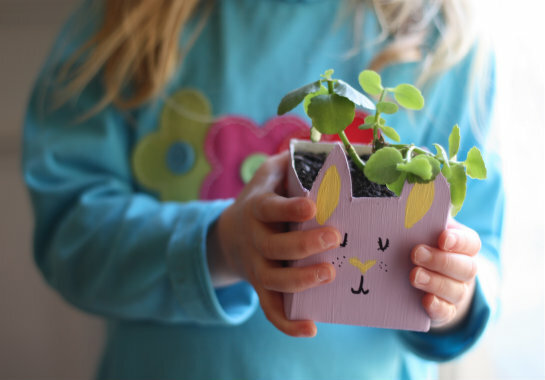 Thank you for linking back to us and for sharing your amazing planters. I totally remember making these in kindergarten. 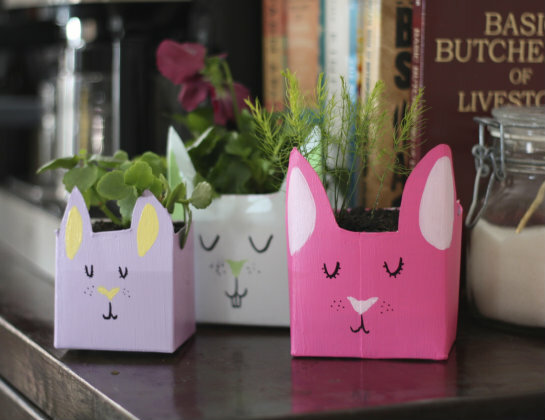 Cool how adorable little crafts like this stick around! 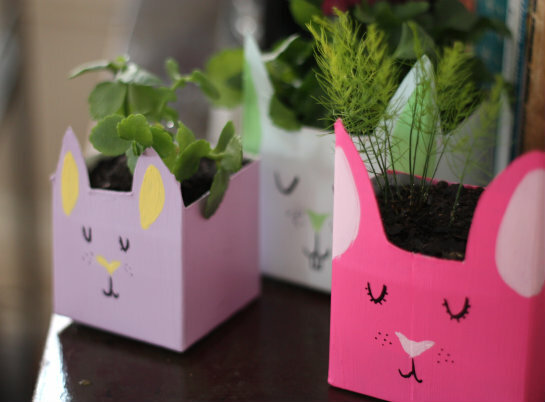 Might have to do these for my Spring Craft night at the library i work at with the kids. Danielle, we hope you will send us pictures if you do! This post reminded us how bad we would like to start seeing spring!